Jason Barry’s career seems to have gone full-circle. 15 years on from James Cameron’s epic 1997 blockbuster ‘Titanic’, Barry is back in a tux, back hanging out with Kate Winslet and once again caught up in the ‘Titanic’ whirlwind. This time around of course it’s all about ‘Titanic 3D’ as the Artane-born Dubliner re-engages with Tommy Ryan, the Irish character he played in ‘Titanic’ who was a friend to Leonardo DiCaprio’s Jack Dawson. As we speak, Barry is not long back from the ‘Titanic 3D’ premiere in London and is in the midst of editing his forthcoming short ‘100 Hundred Degrees’, as well as filming scenes for the forthcoming third series of RTÉ’s ‘Love/ Hate’. So, I gather you’ve been on-location all week shooting ‘Love/Hate’? Yeah, pretty much all the Love/ Hate stuff is on-location. It’s a great show. They’re a good bunch and the scripts are very good. They’ve got a great crew and a great bunch of actors on it too, so it’s been a great experience so far. We’ve been shooting now for five or six weeks and we’re just going to work through for about another three or four. Can you tell us a bit about you character on the show? Well, they told me not really to talk too much about it, unfortunately, but it’s a good role and it’s something that I hope people here… well they wouldn’t have seen me play this type of role before. I have been caught up in it again alright. I mean it was kind of fortuitous that I was here in Dublin filming. They had the big premiere (for Titanic 3D) over in the Royal Albert Hall in London about a week ago and I went over for that, and it was terrific. It was good to see Kate Winslet again, and you know I’ve seen Billy Zane a bit in LA and Bill Paxman… but it was good to see Jim Cameron again and Jon Landau and Rae Sanchini, all of the producers on it. And you know, I don’t really look anything like I did back then so I think they were probably all taken aback a bit, in a good way I hope. Well, I had went to the Samuel Beckett in Trinity to do drama studies and pretty much after I left Trinity I got a job in London and I stayed in London. I came back here to do a film called ‘The Last of The High Kings’. But mostly, I was just working in the UK. Then after a couple of years of living in the UK, the ‘Titanic’ thing came in. I was put on tape and it was sent off to Cameron in LA. And then he came over about a month later and met a bunch of actors, and about three weeks later I got the call to say ‘do you want to go to Mexico for six months’. And I was like of course! Great stuff. And what was that audition like? Well the job where I went on tape was just one that all you can do is hope and pray. It’s always very difficult as an actor putting yourself on tape and seeing what happens. But when Cameron came over it was wonderful. I think I probably spent 45 minutes with him, and we chatted and did some scenes. And we did a little bit of improvisation and then chatted afterwards. I really felt that… I think most actors will tell you that they know when they’ve done a good job or a good audition. They’ll just feel that they really have a major chance of getting the job, and I felt that walking out the door. I really did. I really felt that it was going to go my way, and luckily it did and three or four weeks later I got the call. It was great. You were a James Cameron fan presumably? Ah yeah, I’ve been a movie fan since day one. It was one of the main reasons for becoming an actor in that I’ve watched movies since I was a kid and, especially with someone like Cameron, I remember running out to see something like ‘Terminator 2’ or ‘The Abyss’ or ‘Aliens’. It’s one of those movies that you just put on once a week or once every two weeks and you kind of remember all the lines from it. So I was always a huge fan of Cameron, and… I mean it was kind of tricky meeting him. It’s always odd kind of meeting iconic movie directors… people that you want to desperately work with…and then all of a sudden you’re just sitting in the room with them. I mean, you do realise that they’re just people but you still kind of look at them because they’ve inspired you so much. But I had a great experience in that audition with him, and then I had a fantastic experience doing a movie with him. We got on very well and it was great. It was. They did a month up in Nova Scotia, up in Halifax, which was all the modern day stuff. And then we did six months down in Mexico, in Rosarito. From what I remember we started in October and went from October to Christmas. Then we broke for Christmas and I came back here to Dublin for Christmas. Then I went back and I think that I remember finishing the day before St Patrick’s Day, so I think that it was pretty much six months. What was it like spending six months on-set? Well, you know, I was a young guy out there. I was 23-years-old, and you’re living what you’ve always wanted. Of course the weather is really great, which helps and then you have a bunch of all these really great interesting people all staying in the one hotel. You know, this really great bunch of actors and crew and everyone trying to make this movie as well as they can. And then there was just making the movie itself, you know just running around on the deck and being part of the scenes in the studio. I mean it was a dream, I have to say. It was one of the most pleasurable six months of my life. Oh completely. There was major concern and I’m sure that Cameron would be one of the first to say that. I mean there were definitely days when people would worry. I’m sure the producers felt it because the budget was spiralling out of control. I think that the main concern was that they wanted the film to be a summer release. They wanted it to come out on July 4 because obviously movies make a hell of a lot more in the summer. And because the shoot was going on and on and on, I think that that’s where the fear came in and they realised that it wouldn’t come out in the summer and pushed it to Christmas. I think creatively though everybody felt that it was going to be a tremendous movie. I mean you can never tell if somebody’s going to go and see the movie so financially there were concerns, but creatively I think people knew that it was going to be a special piece of filmmaking, if you like that type of filmmaking. With those concerns in mind, did you feel that extra pressure on set? No, not on us. I mean the actors turn up, say their lines and get paid. You know Leo wasn’t a huge movie star at the time so there was no pressure on him to open big or whatever. And either was Kate. I think any pressure that was going to be put on someone would have been put on Jim Cameron. And if there’s any man who can take a pressure, then he’s it. You know it never watered down to us or filtered down to us. It did, but if you’re in your early 40s or that…. You know he was standing on the ship of the biggest movie ever made with five or six cameras rolling at one time. You know, he wrote it; he’s directing it; he’s producing it; he edited it. There was a lot on his shoulders and it takes a brave man to stand there and not fight the fight and want everybody to do the best job that they can do. And if some people take that as him being aggressive, then it is what it is. Sometimes you have to stand there with broad shoulders and take it on. What did you take from working with the likes of Kate Winslet, Leonardo DiCaprio and Jim Cameron? Well I mean you just look at how professional they are and how on the button they are. I mean somebody like Cameron – because I’m putting my own movies together now – I just remember looking at him and how brilliant he was. He had every single detail down. He knew everything about everything. He knew every aspect of how to shoot it; he knew all about the make-up; he knew all about the lights. He was just really a guy who knew everything. And regarding Leo and Kate, they’re just terrific actors. You always up your game when you’re working with really good actors and you can see why they went on to be the actors that they became because they were just really, really good and worked hard, and brought it to the table every single time that they came on-set. That’s what I learned from it and I think that I learned that you should do as much research as you can and just really try and nail it every time that you’re on-set. He did. He’d just done ‘Romeo & Juliet’, so he was just about to go huge and become a huge movie star. I don’t think that he really thought that ‘Titanic’ was going to be as huge as it was, but he definitely had the chops. Did you get on well with him? Oh yeah, I mean we hung out a lot off set and I saw him a few times in LA afterwards but I haven’t seen him in about 10 or 12 years. But yeah, we hung out and he’s a really good guy. We’d hang out a bit in Mexico and then go up to LA if we’d some time off. But he was a pleasure to work with and a really good decent guy. Yeah, I’m just very grateful to be involved with it and to now see it come out again. I’m very grateful to have been involved in a movie that has a bit of legs and that people will see forever. As an actor you often do a lot of movies that nobody gets to see. You know, I continue to do movies that nobody gets to see. But to be in a movie that you know is going to stand the test of time, it’s wonderful. Sometimes huge movies like ‘Titanic’ can work against actors. Did being in it make it easier or harder for you to get work? Well, about a year after it I got lucky and went to LA to make a movie with Dennis Leary and Martin Sheen, which was shot in Boston and is called ‘Monument Avenue’. Then I went to New York for a bit before coming back to London. And you know, I worked solidly in some movies there and in TV. Did I capitalise enough on being in ‘Titanic’? I don’t think that I did. I think that I was probably a little bit immature and probably didn’t know what the right steps to do were regarding my career. So, you know, I did work and worked with some great people afterwards but I don’t think that I capitalised on it in the way that I should have. And when you say “immature” how do you mean? Well, immature in terms of how the business works. You know maybe I should have gone back to LA and not gone back to London, and stuff like that. I was 23/24. I didn’t have a huge experience of the movie business because I don’t come from an acting family or anything like that. I think that if I had some better advice maybe, I could have taken some better steps, but that’s hindsight I suppose. Two of your younger brothers have followed you into filmmaking - Keith who is an Assistant Director and Glen who is also an actor. Have you advised them? I did. Having a bunch of brothers in the movie industry is tough because work can be hard to come by at times. But we have each other’s backs and we help each other out. I got Keith his first job as an AD and he’s worked solidly since, and I’m constantly helping Glen. He’s just moved to LA so he’s living with me in LA now and he’s just wrote a short film that I directed and am starring in, so we’re helping each other out as much as we can. I definitely won’t let Glen make the same mistakes that I did, so it’s good for them to have an older brother I suppose who can help them out. What’s the short that you made? It’s called ‘100 Hundred Degrees’ and it’s about the consequences of the end of a marriage. I play the husband in it opposite a wonderful Irish actress called Charlene Gleeson, who was in ‘Sarah & Steve’. She plays the wife and it’s basically like the last 10 minutes of a conversation and something bad happens at the end of it, which I won’t say. It’s a real nice little piece. We shot it about six weeks ago so I’m editing while I’m shooting ‘Love/Hate’. Hopefully it will all be done in about three weeks. It was shot in LA. Myself and Glen are also working on a screenplay for a feature. Can you tell us a bit about that screenplay? It’s about a bunch of marathon runners. I run a lot of marathons so it’s something that’s very important to me and I figured that if I’m going to do my first film I may as well do something about marathon running. It’s kind of a working class story about a bunch of guys who run a marathon for charity. Within that you’d have multiple different storylines. So it’s like a buddy movie kind of thing and we’re working away on that. You’re LA-based now. Is it a case that there’s just not enough work in Ireland? Well to be honest, I haven’t lived in Ireland for pretty much half my life. I left when I was about 20 after leaving drama school and then I lived in London for the majority after that before moving to LA four or five years ago. There is a lot of work in Ireland, but I just never really got my foot in the water here. I’ve worked here a few times and, for me, it’s one of the best places to work because the crews are so brilliant. I love the energy of the crews here and the sense of humour that Irish crews have, because you don’t get it anywhere else. Well, trying to put a movie together…you know it’s tough and it’s hard. That movie that we were trying to put together was very close to my heart and hopefully it’s something that will be resurrected. I’m helping the writer as much as I can to get it up and running in whatever capacity that I can. It’s still a very live screenplay and it’s a screenplay that should definitely be made. As with any screenplay there’s people out there trying to get it made and I’m helping as much as I can on that. And are you still hoping to direct it? No, I doubt if that will happen. You had some key people attached to it at one stage – Guy Pearse, Gary Oldman and Ian Hart? Yeah we did. We had some great people. It was very much a good live project for a period of time but when you have so many moving parts in a project that is that big, it doesn’t take much for it to fall apart. It was an ambitious project at the time and you know I think that it’s a move that will definitely get made at some stage, I’ve no doubt about that. It’s a brilliant script and it really captures the 1916 deal completely and utterly. It’s very, very good and I’ve no doubt that it will get made. Apart from ‘Love/Hate’ and ‘100 Hundred Degrees’, what projects do you next have on the cards? I did a little sci-fi over in LA called ‘Hirokin’ and I did a little comedy movie called ‘For Christ’s Sake’, which I believe is also due for release over there shortly. But that’s pretty much it. I’m doing ‘Love/Hate’ for the next couple of weeks. I’m here doing the ‘Marathon Men’ too and just closing the stuff on my short movie and seeing where that will go. Has one piece of advice stood out for you? I think the one thing I remember an older actor saying to me when I was starting off, actors are kind of competitive when they are younger. They’re all going for the same role and then get bitterly disappointed when they don’t get it. And even me at my age, you got to let that go because it does affect you. There’s no point in being bitter because somebody else is doing better than you. Ultimately, as my film is all about, it’s not a sprint it’s a marathon. Whatever your past is, is whatever your past is. I remember the actor saying it to me and I was just like ‘yeah, well that’s because he hasn’t done too well or whatever it was,’ but it’s actually truthful. It’s such a competitive business and you can lose sight of your creative powers if you get caught up in it and if you get jealous of other actors. That’s the one thing that I try to keep in my head – to not worry about what somebody else is doing, just to stay on your path and run your own race. It’s the only race you can run. 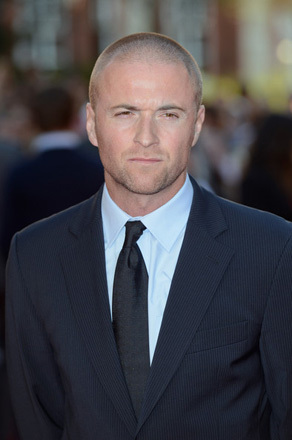 Jason Barry is currently shooting ‘Love/Hate’ in Dublin for RTÉ and Octagon Films. His short, ‘100 Hundred Degrees’ is being produced for Caspian Pictures and was written by Glen Barry. Jason stars and directs. ‘Titanic 3D’ is in cinemas now.